Oxford University Press, with considerable justification, states that the Oxford English Dictionary “has been the principal dictionary of record for the English language throughout the lifetime of all current users of the language.” In short, for anyone interested in the history of English-language words, the OED pretty much is the Holy Grail. For example, the earliest documented use of the word “grail” was around 1330 AD. 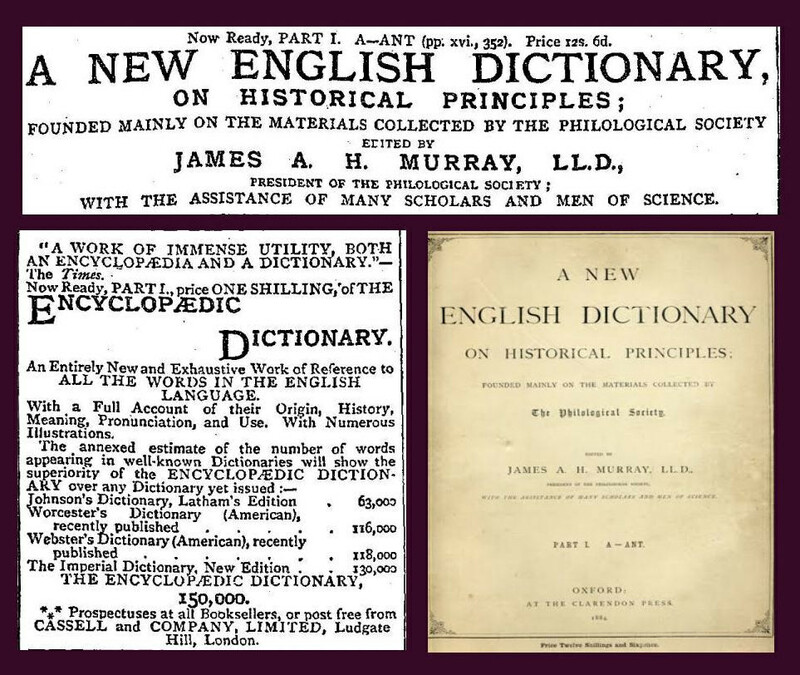 First published as a “complete” work in 1928, the OED (originally known at A New English Dictionary on Historical Principles) is a living, breathing ongoing project, keeping track of recently-minted words and meanings, as well as monitoring new research than can update existing entries. Four times each year, the editors release a list of new words, phrases, and meanings, always an occasion for fascination and media coverage. The March 2017 list is no exception. Please note that there are no direct links from this new list into the dictionary’s entries, since the publication is a commercial enterprise. However, current members of the Washington and Lee community (students, faculty, staff) can consult the OED to their hearts’ content through the University Library’s subscription link. Printed copies of the first edition (1928) and second edition (1989) are available in the library collection.